Munaty Cooking is a magazine with a focus on food & you can find recipes, tips & techniques etc. The June’s issue also features a special Salmon Recipe from Chef Adel from Radisson Blu Hotel. It’s great pleasure to be in the “same page” with a renown Chef. 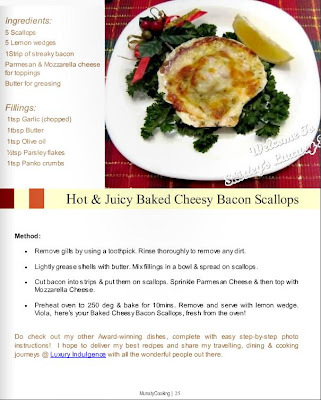 Here's my profile featured @ Munaty Cooking (click to zoom in), together with one of my signature dishes - Hot & Juicy Baked Cheesy Bacon Scallops. An appetizer guaranteed to make you HOT! Besides congratulating you, what else could I do? Ah, can I request for u to prepare this for me? LOL! joke aside, anyway of getting hold of this magazine? 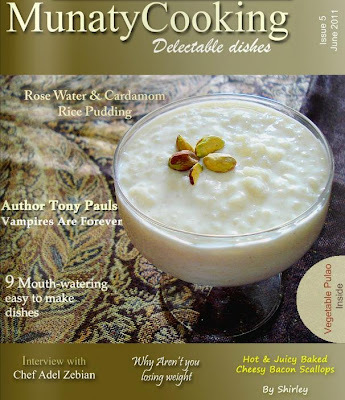 Big congratulations on being featured in the magazine, Shirley! What exciting news indeed. 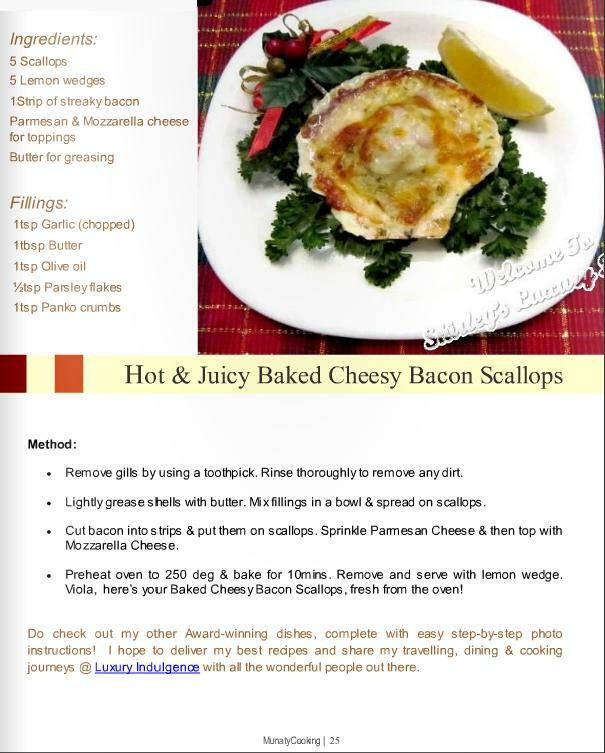 Love scallops and definitely love the recipe you submitted - looks delicious! A big congrats and enjoy the moments. Congrats Shirley! I love scallops and your dish looks very tasty. Thks, ladies! Doris, u can get more info from their website :) Have a good week, everyone! thanks so much for stopping by, I had just been thinking about you!! Congratulations on such a nice article and your scallops look beyond delicious! hope all is well in your world, and now that summer is here and I have a little break I will be around more often! Dennis, really nice to have u back! Thks for the compliment :) We're having sch holidays here for a mth, so I'm tied-up with my kid. Hahaha! U take care!